Tree Removal Melbourne – Give Your Garden Fresh Life! Removing trees before they pose a threat to either you or your business can save you a lot in the long run. Each of our team members are determined to deliver an effective service for regions all across Melbourne and Metro areas including the Mornington Peninsula. We will travel anywhere, so you can be sure we will fulfill your needs. Additionally, we guarantee competitive prices for all of our clients. Don’t let old stumps take up space and pose a potential termite risk for your property. Free up your yard with our tree removal and stump removal services, and restore the look and integrity or your garden today. Guaranteed effective removal, contact us for a free quote today. A well maintained garden can add thousands to the sale value of your property. Maintaining trees and growth adjacent to your home also protects it from damage. We can do regular or once-off jobs for individuals, businesses, strata groups or councils. Get rid of unwanted trees plantation with our expert tree arborists across Melbourne. Treeman provides exceptional customer service, combined with a range of solutions for a variety of locations and property types. Treeman’s Tree Removal and Stump Removal services are provided to residents and businesses within Melbourne and surrounding areas. The Treeman team can take the stress out of tree removal around your Melbourne property by providing the highest quality solutions that have a commitment to reliable customer service. We have a passion for achieving and taking that one step further for our clients—whether you’re in need of small or over-grown tree to be removed, we’ve got a team of tree arborists who can get the job done effectively and efficiently. Our company has over 20 years’ experience in tree removal, conducting jobs on various Melbourne environments and properties. We take pride in what we do and continue to strive to maintain our reputation for impressive results. 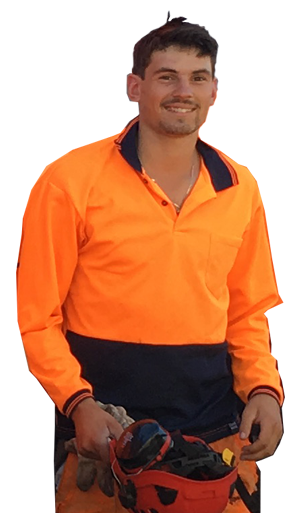 Treeman provides professional tree removal and stump removal services for residents and businesses within Melbourne and the surrounding areas. At Treeman we also provide advice on what to do so that you can avoid any inconvenient problems that generally occur when it comes to removing the body of the tree. Tree stumps can attract fungi and pests which can infect other plants and trees. Tree stumps can become a hazard to your children and vehicles if not seen. We take pride in knowing that we provide a safe and effective method of removing tree stumps for both residential and commercial properties in Melbourne. If you’re looking for professional team with a passion for customer service, Treeman is ready and willing to assist you with your needs. Treeman are an expert tree pruning Melbourne company that can help with all of your tree pruning needs. Tree’s are important for everyone. They are great for the environment as they provide shelter for animals, remove the toxins from the air and also improve the look of your garden or park. At Treeman Melbourne, we believe that a well maintained tree is very important so that it will be at it’s optimal health by providing healthy flowers and fruits. Treeman understands that your garden and trees are important to you and that is why we have a dedicated team of fully qualified and trained tree pruning specialists. It gives you the comfort of knowing that your tree will be in good hands. It’s important to prune your trees just before spring so that they can grow and bask in this growth season. This is especially important for seasoned fruit trees that rely on certain seasons to grow their fruits. We provide Tree pruning Melbourne services to all of Melbourne and it’s surrounding areas and can be called out on emergency calls to quickly prune any tree. Mature trees need regular pruning to help remove any dead branches that will cause excess weight and stress to the tree. Pruning younger trees is also very important to help stimulate and prompt healthy growth to reach maturity. If your need of a professional tree pruning team in Melbourne, then look no further than Treeman. Mornington Peninsula, Rosebud & Frankston are our main areas, but we also service the CBD and will travel anywhere in Melbourne!